It’s been a while since we have been out and about. After our last big trip to Western Australia we came home and bought a house. After 5 years of renting and with some bad neighbours we decided it was time. So we bought ¾ of an acre which is surrounded by larger acreage, ahh it is bliss. No loud heavy metal band noises coming from the neighbours, no screaming and yelling, no lack of privacy, it is so very peaceful here. The house is over 22 years old with still the originally kitchen so our first priority was putting in a new kitchen, which of course involves a lot more than it sounds especially since we did it all ourselves. But what all this has meant is we have been very busy and not able to get out onto the road, exploring Australia. With the reno all but done we are finally getting to go on a few trips this year and we are hanging out. First one is just before Easter for a 10 day break. We also have another addition to our family and her name is Jess a Yellow Labrador and she is beautiful, currently 10 mths old. 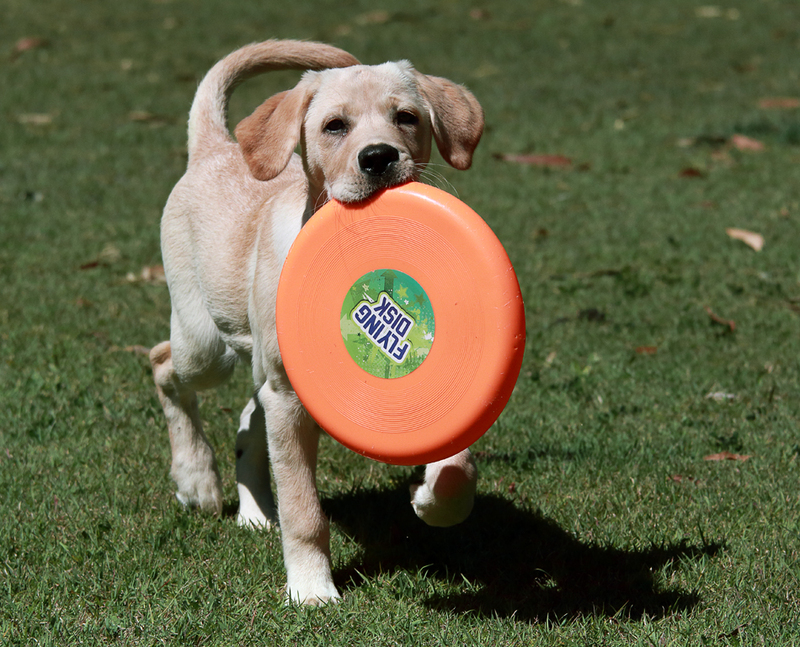 We could not ask for a better natured dog. It has meant we had to do a few alternations to the back of the Ute to fit Jess is. Our only issue with Jess is she gets car sick. So it could be fun. If you recall on our last trip we had a few repairs, we lost a tyre on the Tanami. Chris was able to fix it on our trip but it did leave us with no hand brake and other brake issues so it left us with a few repairs to do. Chris fixed the brakes issues as soon as we got home. We didn’t realise until we got home that somewhere along the way over the very rough roads we did a shock absorber on the trailer, with some upcoming trips, Chris finally got around to fixing it. The time has come. I’ve known I needed to change the shock absorbers for a while so with a couple of trips coming up, it’s time to get this job out of the way. Why? Firstly, noises, squeaks when driving slowly into a camp site or manoeuvring at home. It could have been other suspension components but there isn’t a lot that can make noise. Secondly, further investigation showed oil leaks from the LHS damper. It’s hard to confirm their failure on the camper as manual pushing down on the body and releasing didn’t show any problem but it is heavy and hard to check like that. The sure way was to remove them. So I jump underneath in the shed and take the leaky one off. It’s fairly easy and only takes 10 minutes but in my case the shed is so full that I had to crawl through from the draw bar end. With the first one off I could verify the problem, it was soaked in dirt covered oil. The only place this oil could come from was inside the shock. To check it I used a half inch extension bar through one end eye and held that to the ground with my feet. 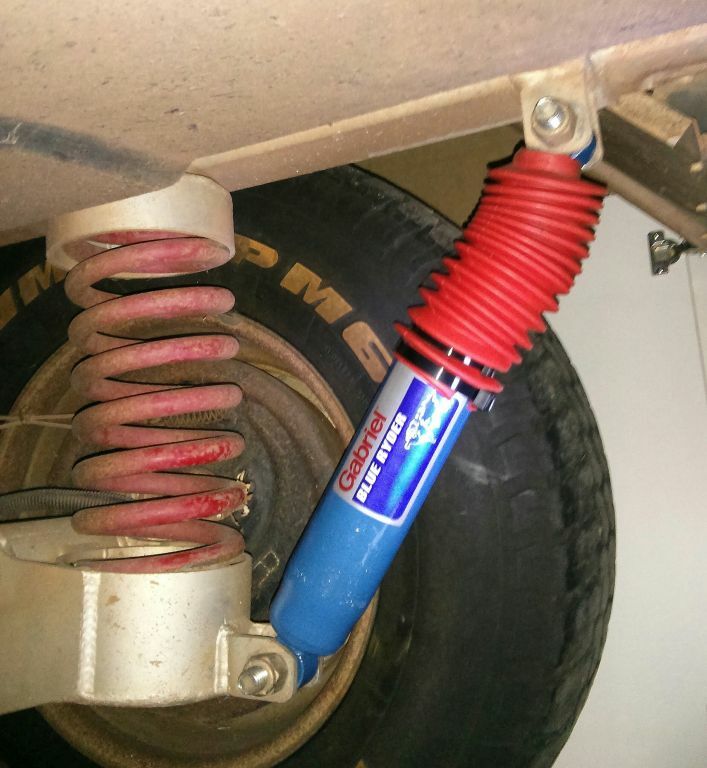 Another extension bar through the other eye then push and pull on the shock. It moved about 20mm either way without resistance before starting its damping action – not good. So I pulled the other one off as they should be changed in pairs. It turns out it wasn’t much better but it didn’t show the oil leak. Another possible sign of wear was that they didn’t extend to their maximum length slowly by themselves. I say possibly because I’m not sure if that is the expected action from these foam core shocks. Now it’s time to get replacements. These original ones are Pedders Trakryder foam cell shocks, part number 9529. Looking them up on-line – $200 each – ouch. I wasn’t too impressed with their short life span either, only about 30 to 35 thousand km, so I thought it might be time to try something different. The question is what something different? You can’t exactly look up Aussie Swag on the shock absorber manufacturer’s website. 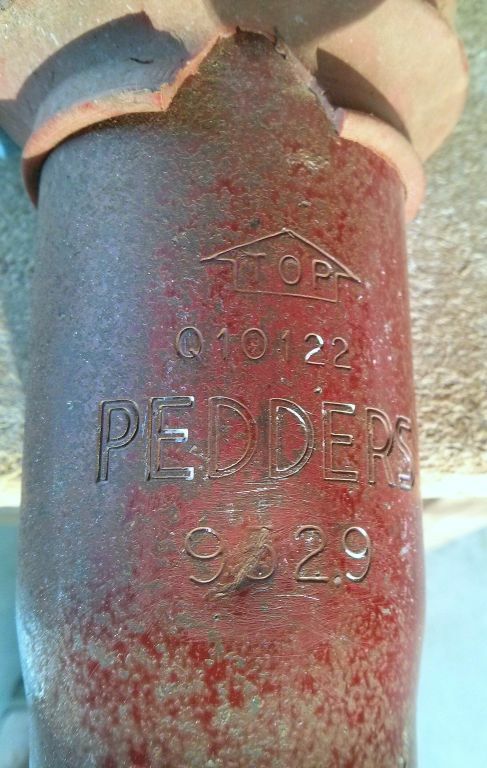 Looking again at Pedders part number 9529, it lists vehicles such as Chev Silverado, Mitsubishi Canter, Toyota Coaster Bus, Toyota Dyna and Toyota Landcruiser 40 series, all heavy off road or commercial vehicles (sounds about right). I chose to pick one, a Toyota 40 series FJ front and look up its part number. 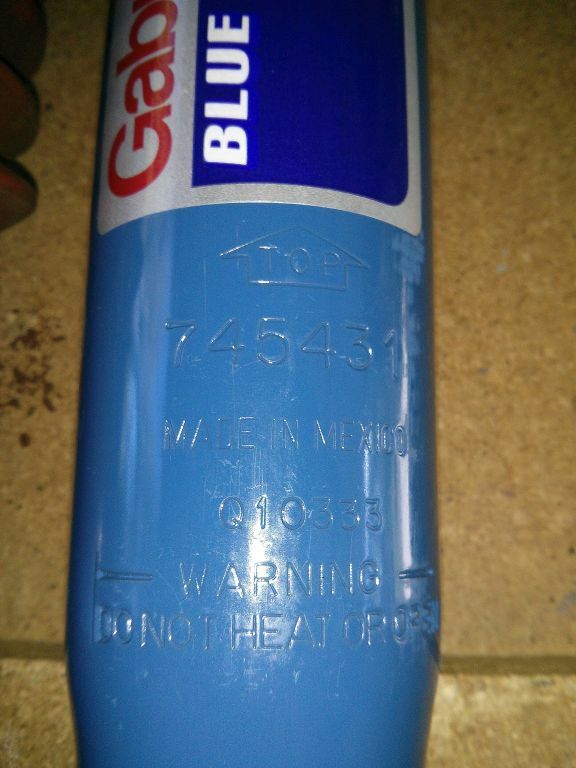 I found a pair of new Gabriel nitrogen gas shocks part number 745431 on eBay for about $90 delivered that sounded OK. They had the same closed and open length (extended length 456mm closed length 307mm) and other specs seemed good. They aren’t foam core but our tow ute uses OME (Old Man Emu) Nitrocharger sports that have done much better than the Pedders’ so that sounded OK at less than a quarter of the price of the originals. OME Nitrocharger sports to fit the 40 series front are about $170 each so I didn’t go that way. 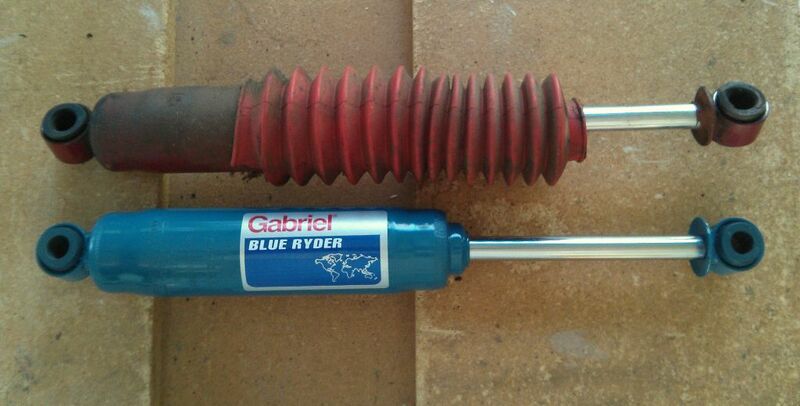 My on-line investigations also seemed to suggest that Pedders 4WD shocks are manufactured by Gabriel. The Gabriels turned up quickly they were new so in good condition in their original boxes. A side by side comparison showed the lengths to be correct. The similarities (other than colour) were remarkable. Looks like the same factory. Even the stamped symbols are the same. Compare the “TOP” symbol in the photos for example. I did re-use the Pedders’ stone covers. 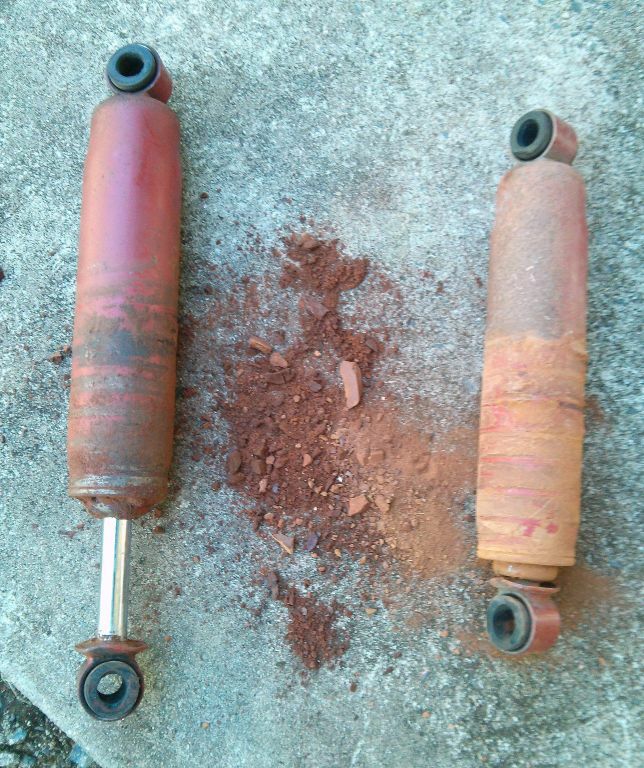 When I took them off the old shocks, there was lots of red dirt compacted around the shaft, along with oil on one of them. I see they are more for avoiding stone damage than for keeping dust out. The old ones were in good condition after a wash with CT18 and leaf blower dry (sounds like they had a day at the spa). I added a couple of heavy cable ties to the bottom of the stone covers to try to stop them creeping down and separating at the top as the old ones had. I thought re-fitting them would be simple but getting the new bushes inside the eyes on the camper wasn’t simple. I had to fight them on using a couple of screwdrivers as levers being careful not to damage the rubber bushes. Fitted the bolt and nuts (new nylock should be used) without over-tightening so as not to squeeze the mounting lugs on the chassis together at all. The bottom mount was probably harder because the shock had to be compressed to get it into place. This isn’t as easy when you’re on your back on a trolley that wants to roll around. Same issue with getting the bush to fit but less ability to wiggle the shock now. Anyway, they are now on and ready for a test tow next weekend. In thinking about the life span of the old shocks, I may have been a bit tough. While they may have only made 30 to 35 thousand km, it was across some of the toughest roads in the country. This included the Birdsville Track, Oodnadatta Track, Dalhousie Springs, Finke Road (including the desert race track), the South and North Telegraph Track, Weipa Road, Peninsular Development Road, Virillia Beach, Old Coach Road, Lakefield National Park, Bloomfield Track, Gulf through Hells Gate (twice), Plenty Highway, Tanami Track, Gibb River Road, Mitchell Falls Road and much more. Should they have lasted longer? I don’t know but I’m trying something cheaper now. If we get a quarter of the life out of the Gabriel’s then we are still ahead. The OME’s on the ute have done all of that and a lot more and still seem to be in perfect condition.